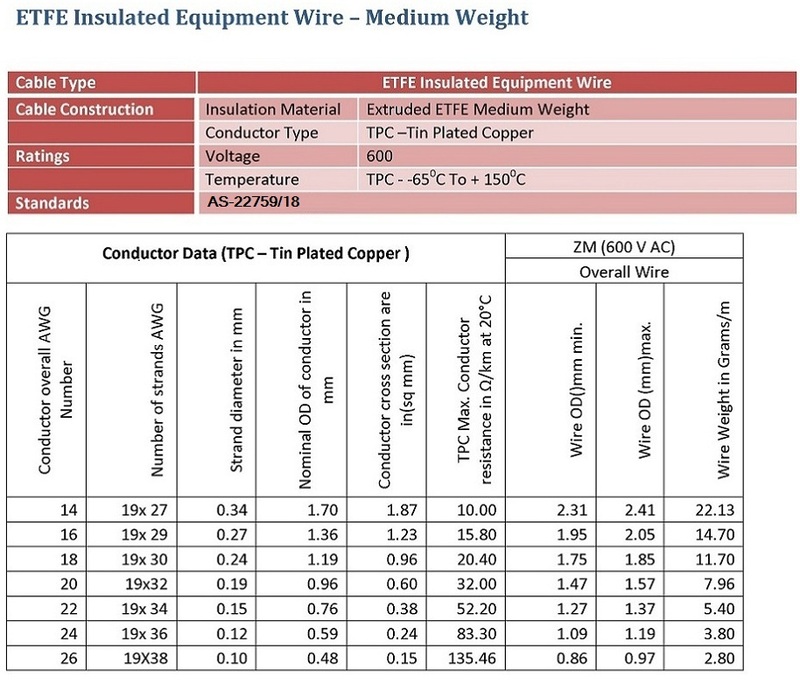 ETFE Equipment Wires:: ETFE Equipment Wires Manufacturers,Equipment Wires Suppliers & Exporters :: Garg Associates Pvt Ltd. 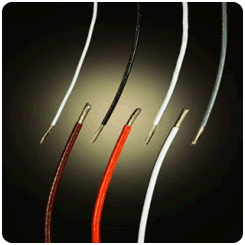 Single or Multi-strand Conductor Insulation 600V available in medium weight and light weight. 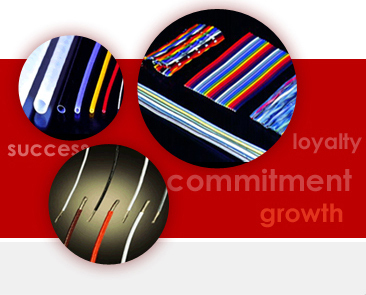 GAPL designs and manufactures a wide variety of standard and custom ETFE Insulated Hook-up/Equipment Wires. These wires are available in normal weight and thin walled light weight version specially used in aviation and aerospace industries, All the standard wires manufactured as per the popular military standards. We also make custom ETFE cables e.g. 75 Ohms high voltage ETFE Coaxial cable. 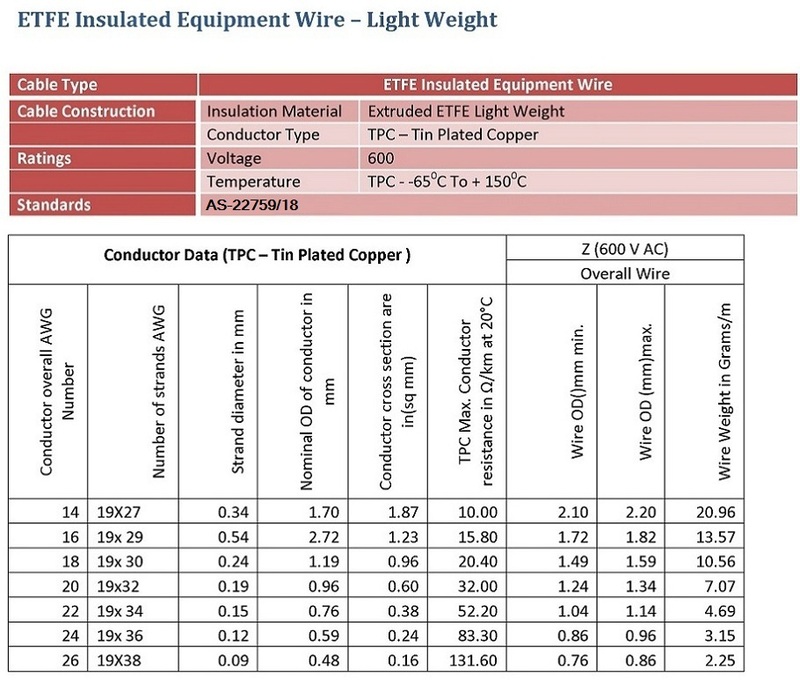 Please contact us for your custom ETFE wire or cable requirement. Available in medium and thin walled extruded ETFE construction.